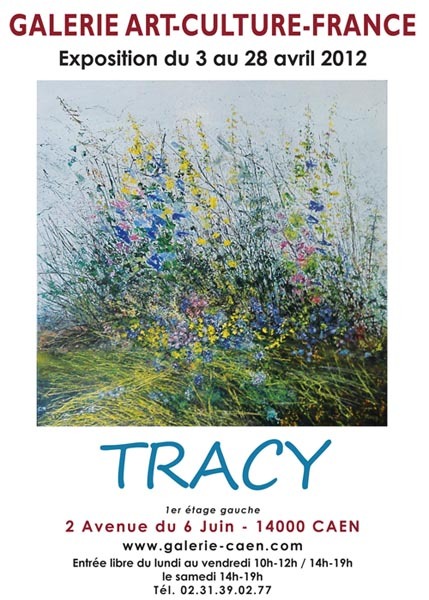 The beautiful region of Normandy, which adopted TRACY a few years ago, brought the needed serenity to unleash her inspiration that she draws for the most part from nature. Grasses and weeds, which can be seen in practically all the themes she approaches, are her favourite subjects. Every day she diligently devotes herself to her passion with ever-renewed pleasure. Over time, experience has taken priority over theory, preventing her from becoming enslaved by it, leaving room for spontaneity and freedom of expression in order to create works that are instinctive, often imaginary, and painted in her workshop. 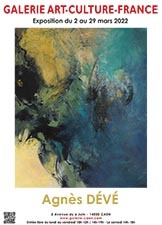 The palette knife and oil have become her essential and unique tools. Absorbing her impetus, the paste comes to life under the supple and accommodating blade of the knife. Her brush-strokes become impatient, alternating with more controlled moments. Sometimes a chance movement that looks promising leads her in a new direction. Everything is organized or disorganized in a unique combat where shapes and colours compete with each other, the whole forming a personal writing that is born of the coming-together of movement and matter. TRACY paints intuitively, regardless of any doubts or uncertainties she may have, and without the constraints of either having to be faithful in her representation of reality or of following an artistic movement. It is a daily battle, and she constantly questions herself: all notion of time and space vanish and yet her passion for painting triumphs. The adventure lies at the tip of the knife.